Early this year Samsung launched the Galaxy S9 series smartphone in the market with a new sensor on the rear that measures blood pressure which made it a truly unique feature since there is no other smartphone in the market offering such capabilities. 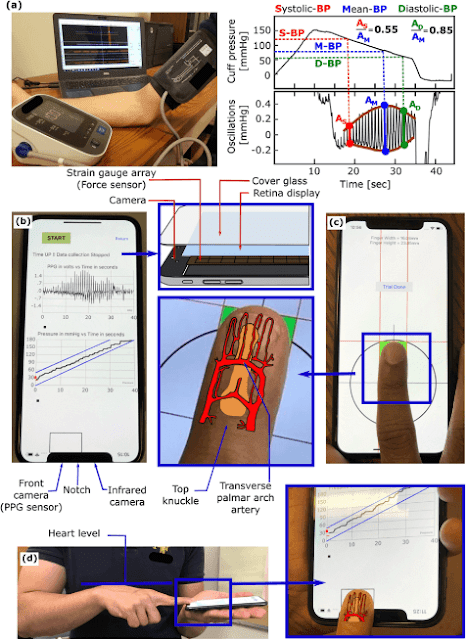 Now today a group of Michigan State University researchers (Anand Chandrasekhar, Keerthana Natarajan, Mohammad Yavarimanesh & Ramakrishna Mukkamala) has figured out a way to develop an iPhone app that will the measures blood pressure with no need for any extra sensors. Recall earlier this year a paper was published in the journal Science Translational Medicine by Professor Mukkamala and his colleagues that proposed the concept of inventing a blood pressure app and hardware. 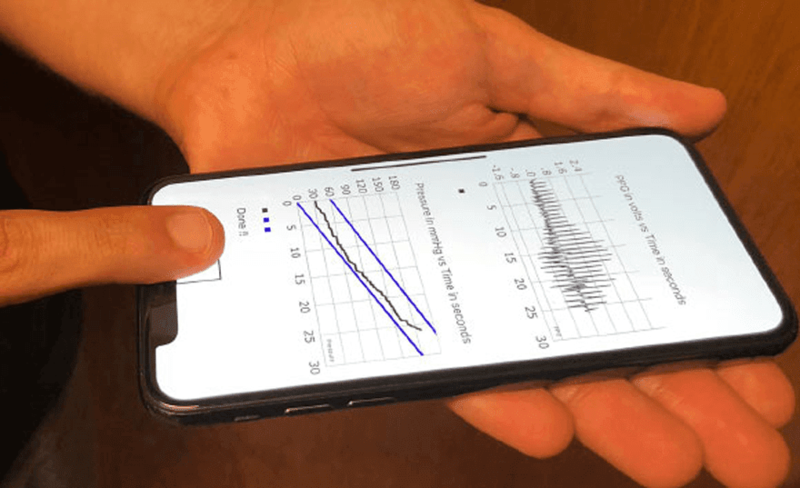 According to the journal the combination of a advanced smartphone with add-on optical and force sensors, they produced a device that rivaled arm-cuff readings which is standard in most medical settings. In iPhone the app will use readings from both the camera sensor (add-on optical) and the variation of 3D Touch (force sensors) pressure felt on the display. By placing the fingertip over the front of iPhone, (cover the selfie camera and apply a bit of pressure on the screen) which will eventually increase the external pressure of the underlying artery and the application will measures the variable-amplitude blood volume oscillations via the camera and applied pressure through the strain gauge array under the screen. The application also visually guides the fingertip placement and then computes BP from the measurements just like many automatic cuff devices do. The researchers has also tested the application, along with a finger cuff device, against a standard cuff device. During testing, the app showed errors about 2mmHg higher than a finger cuff type device. These errors were near the finger cuff device errors and these errors indicate that the app is not super-accurate, but using it on a daily basis to monitor BP for any abnormalities is advisable. The team wants the app to be ready in 2019 with a lot of improvements, while Apple is currently debating whether or not it should to include the 3D Touch on its 2019 iPhones, since the pressure-sensitive displays are expensive to build, but if this app can prove to be functional it could be a good reason for Apple to keep the 3D Touch feature on its future iPhones.